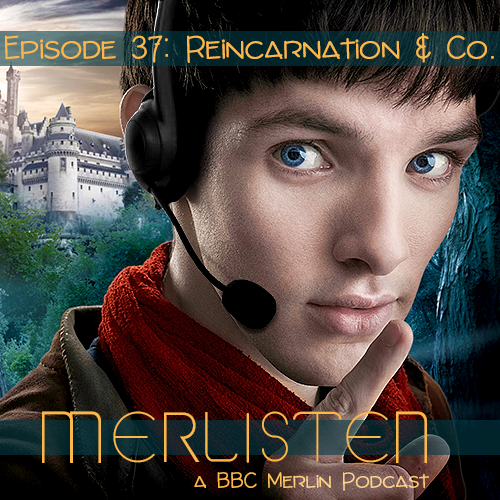 We take a look at two very specific genres in the Merlin fandom: Arthur Pendragon Returns, and Reincarnation fics. We discuss classification of these genres, give plenty of examples, and cry over sad headcanons. The usual :). Your hosts are MissSnowFox and momotastic. They are joined by Isaac, and Markie. Episodes are rated Teen and Up for potentially crude language, or discussion of sexual or violent themes. Files hosted on parakaproductions. Thank you, paraka, for providing this service. Music composed exclusively for Merlisten by SideStepping. News jingle by Mansardian on freesound.org. You can find links to mentioned fanworks, posts, and news on our website. If you're interested in becoming a guest on the podcast, get in touch with us. A schedule of upcoming episodes can be found here.